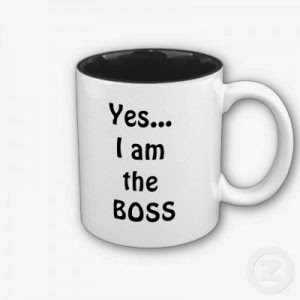 There are many reasons as to why you should become your own boss in 2014. Each year more and more people are becoming entrepreneurs, what is stopping you? When the proper plan of action and guidance, you could very well be able to succeed as an entrepreneur. Do not underestimate your greatness and think that being your own boss is not attainable. Check out these five reasons among many, in no particular order. Are you one of those people that keep making it a resolution every year to fire your boss? Now is the time to actually make it happen. Becoming a successful entrepreneur is one of the most gratifying feelings anyone can do. Instead of making it a goal just because it sounds good this year, actually set out to make it happen. Keep in mind that you do not have to begin the process alone, there are many books that can help you make the transition as well as coaching programs. Perhaps the best thing about being an entrepreneur is the legacy and impact you can have. As an employee, you have very little impact. However, when you own and operate a business you have a direct impact on the business. The goal of most entrepreneurs is to create something that will be around long after they are gone. Let's be real, everyone wants to be his or her own boss. But are you cut out for it? In my opinion, if you can successfully be your own boss then there are not many other things in life that you cannot do. It requires a lot of discipline and sacrifice to be your own boss; therefore it builds character among entrepreneurs. The safest economy is the one you create for yourself, contrary to popular belief. Starting a business is indeed the new "safe" career. You determine how much you make. If you work smart, you will make money. There is a great sense of security in being able to control your own destiny, do not underestimate that. As an entrepreneur, there are no limits to how much you can make. You will never have to worry about your boss calling you into the office to say that they can only afford to give you a 5% raise, or worse, they have you lay you off. Who doesn't love freedom? You are not truly free as long as you are working for someone else. A great benefit of entrepreneurship is the freedom to do what you want to do. If you don't like something, you can change it. If you want to expand the services of your company, you can. If you want to take a week off to do some soul searching, you can! The freedom and flexibility you get as an entrepreneur are priceless. This is what drives most people to become entrepreneurs. 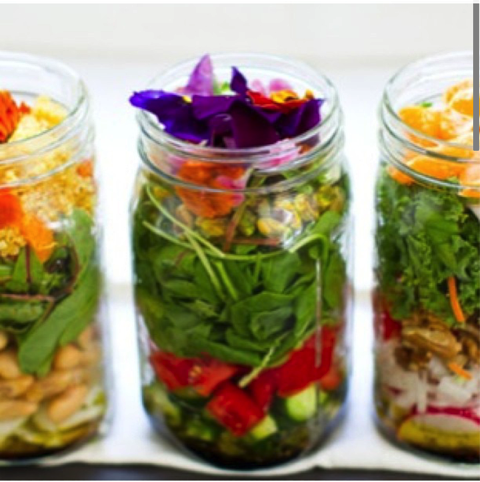 Eat your way to fit. The Holidays are already here, and I don’t know about you but I’ve been looking forward to my grandma’s dressing, mac & cheese, and sweet potatoes all year. With that being said, let me get down to business. If you are just now starting to get fit or you’re starting over, the key is to do everything in moderation. 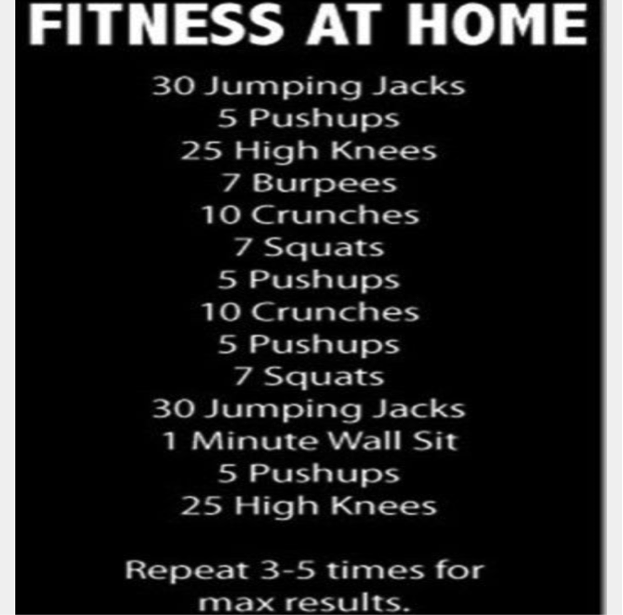 Fitness happens in the kitchen not just the gym. Follow these tips to staying fit while enjoying everything you love during the holiday. Start each day with a glass of this detox drink! 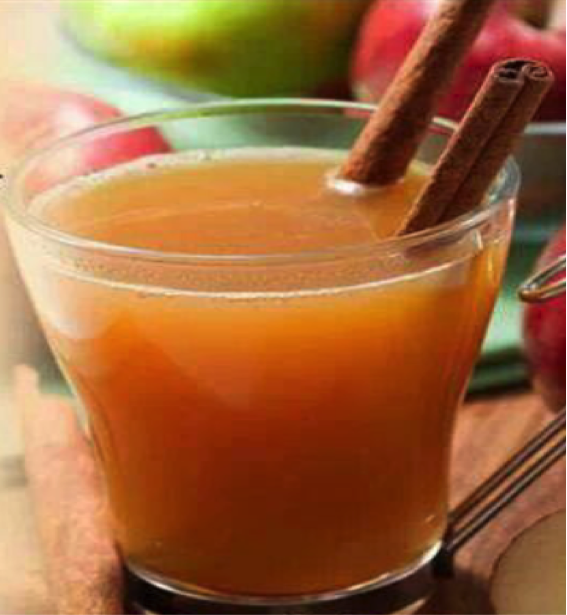 This drink will help flush away all toxins from your system. There’s nothing better than a morning workout before you begin your day. 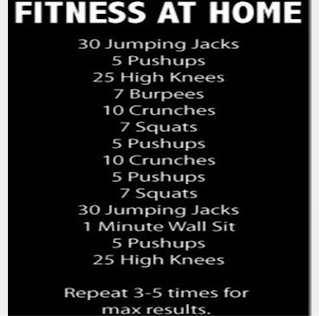 Here is an easy routine to get you started and repeat each day. One thing that works for me when I’m trying to eat healthy is meal prepping. 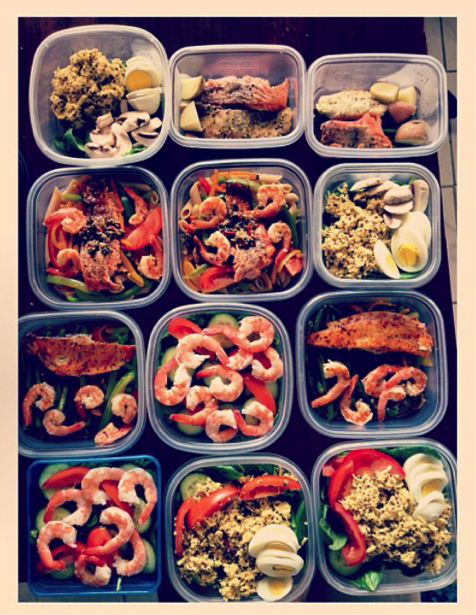 I prepare my meals on Sunday for at least the next three days. Some people I know do all five days, but I like to switch it up a little. The one thing you don’t want to do is get bored with what you’re eating, so do what works for you. But you must prep! By doing this you will cut down on buying junk food. 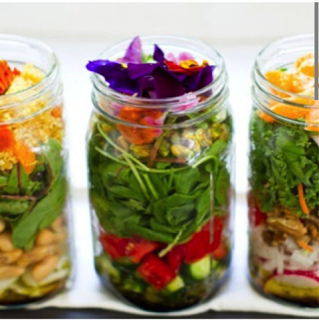 This is a cool idea for packing a salad for the day. I hate taking a salad to work and have to pack a big bottle of salad dressing. This way all you have to do is fill the bottom with dressing of your choice, pack in your ingredients, then screw the top on. When you’re ready to eat, shake it up and serve. 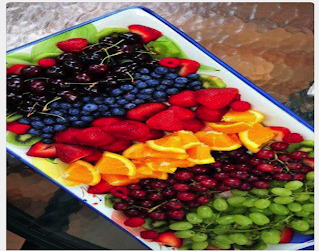 We all love fruit, but we all make the same mistake of having too much, and at the wrong time. One cup of fruit per serving is the goal. That’s it. I also read that the best time to have fruit is before you eat or just have it alone. Eating fruit after your meal will take too long to digest sitting on top of your meal, then it will rote. 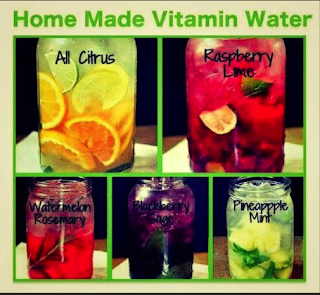 If you need something sweet after you eat, have infused water. Let’s move on to that mid-day problem I always have. What to eat? I always wait till I’m starving to find something to eat. So by this time I want anything and everything. 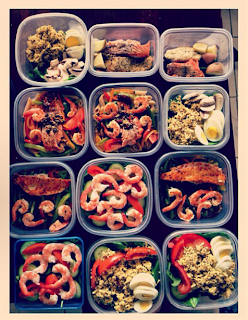 Hints the meal prepping. This snack is so easy and delicious to make you’ll want it every day. 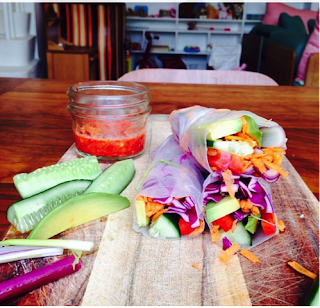 Buy some rice paper from the grocery store and load it with your favorite ingredients, fold like a burrito and serve. I add chicken to turn this snack into a meal for lunch. Taste great with chili or peanut dipping sauce. 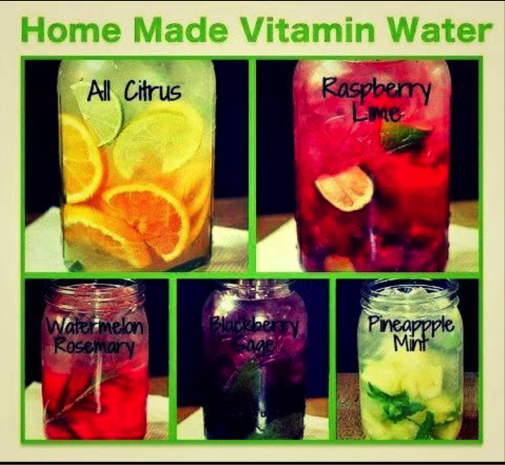 Ok we all know water is the most important part of staying healthy, but if your anything like me that hates the taste of water try these fruit infused waters and get Vitamins while you’re at it!! Following these steps will help you to have a healthier lifestyle and help you through the holiday eating.